Pioneers of Dawson, later Tulsa. 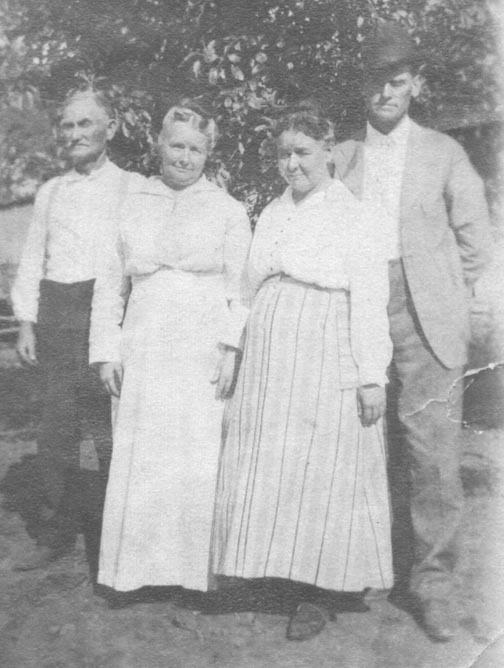 L to R: John Nelson Smith, Laura Francis Ash Smith, Rella Ann Ash Smith, William H. Smith. John and Laura are husband and wife and William and Rella are husband and wife. The brothers married sisters. This photo is not dated. It has to be on or before 1927 as John died then. This was obviously pulled from an old photo album. Most of the other photos that match this photo in paper type, aging and obvious source, are in the date range of 1910-1916.